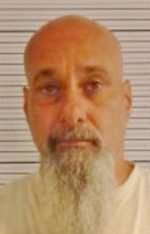 GD Hendrix, a man wanted in connection with the murders of two Plumas County employees was shot and killed in an officer-involved shooting Nov. 15. Two dogs, including a Sutter County K9, were also killed. A man wanted in connection with the deaths of two Plumas County residents is now dead. Following a high-speed chase and shots fired by law enforcement officers, GD Hendrix of Butte County was shot and killed around 11 a.m., Thursday, Nov. 15. The shooting took place in the evacuated area of Concow, according to Plumas County Sheriff Greg Hagwood. It was just before Christmas 2014 that Peter “Mike” and Olga Kroencke of Cromberg were discovered shot to death in their vehicle in the Berry Creek area. Hendrix was the suspect in that case. Butte County law enforcement was seeking Hendrix following his escape from his electronic monitoring device in late July. But it was a citizen who thought he recognized Hendrix at the Yankee Hill Pines Hardware Store just off Highway 70 last Thursday. According to Butte County District Attorney Mike Ramsey, the unidentified citizen told a sheriff’s deputy about his suspicions. When a Butte County Sheriff’s sergeant approached Hendrix and identified him, he called for reinforcements at the scene, Ramsey said. At this point Hendrix was in his vehicle as law enforcement attempted to get him to get out of it. Instead of complying with officers’ demands, Hendrix backed up his vehicle, and then drove forward, crashing into another vehicle as he did so. Next, he drove out of the parking lot and took off on Highway 70 heading downhill toward Oroville, Ramsey explained. Speeds reached up to 90 mph as officers pursued the parolee. Officers had set up a spike strip in the area of Highway 70 and Pence Road. When Hendrix drove over it, the tires of the vehicle he was driving were punctured, but he continued for about a half-mile before coming to a stop. Using Hendrix’s vehicle as a shield, officers ordered the man out of the car, Ramsey said. When he did, he allegedly refused to take his right hand out of his jacket pocket. A Sutter County K9 was released in the line of duty as Hendrix approached the officers on foot. Ramsey said that one of the officers saw Hendrix throw something off to the side of the roadway. Then it appeared that Hendrix allegedly had a metallic object in his and pointed it at officers. That’s when law enforcement officers from Butte and Shasta counties began firing at Hendrix. An officer with California Fish and Wildlife was also at the scene. It was during this time that the K9 was wounded and was then attacked by a large pit bull that jumped out of Hendrix’s car. At that point an officer shot the pit bull, but the police K9 died of his injuries. Hendrix was reportedly shot twice, once in the torso and once in the head, according to Ramsey. Hendrix died at the scene without shooting at officers. The incident is under investigation by a shooting/critical incident protocol team, Ramsey said. At the time of Hendrix’s arrest Jan. 6, 2015, he was heavily armed. Under his long coat, he was carrying an AK-47-style semi-automatic assault rifle that was loaded with a 30-shot magazine. He was also carrying a loaded .22 caliber revolver, and a loaded .223 caliber-hunting pistol. Detectives also recovered a concealed dagger and brass knuckles around Hendrix’s neck. Hendrix was determined not competent to stand trial following his 2015 arrest. He was sent to the Napa State Hospital for psychiatric treatment. When he was released he returned to Butte County where he was paroled with an EM device. That device was later recovered along a roadside and the hunt began. “Our thanks and condolences go out to Sutter County for the loss of the K9,” Hagwood said. “The brutal murder of Mike and Olga Kroencke, two of our best and beloved Plumas County employees has haunted me and many others for the last four years,” said Supervisor Lori Simpson. “I have always felt that there was compelling evidence of who the murderer was, a chilling, cold blooded murderer. A year after the murders, I sent the Butte County DA an email asking why charges hadn’t been filed and when would the family and citizens of Plumas County see some justice in this case. I sent a copy of my email to Sheriff Hagwood and District Attorney Hollister who both were sympathetic to me,” Simpson said. Comments have been emailed to Feather Publishing from Plumas County residents expressing their gratification that the Kroenkes’ family and friends have seen justice served.